Unfortunately, the modern age in which we live is one that never forgives a stray hair or an unkempt brow. It seems we can no longer indulge in a careless two-minute pluck like we once did as teenagers, nor can we ignore the sneaky facial hair that often creeps onto the face as we grow older. Luckily, with this insistence on meticulous grooming comes a range of suitable remedies, such as plucking, waxing and epilating. However, one of the most effective treatments to have recently hit the mainstream is threading, an ancient method of hair removal where a thin, twisted cotton thread is rolled over unwanted areas of hair to tweak individual strands from the follicle level. Threading is considered by many as a preferable means of hair removal as it pulls each hair directly from the root. By going straight to the source of the hair, the ‘middle man’ is removed, meaning that surrounding muscles don’t have to endure the tug of war that alternative methods such as waxing involve. Instead, threading keeps the muscle tissue strong and the skin taut, keeping those pesky signs of aging at bay. To say it is completely painless would be a lie, but most liken the intensity and sensation to plucking – only much quicker. 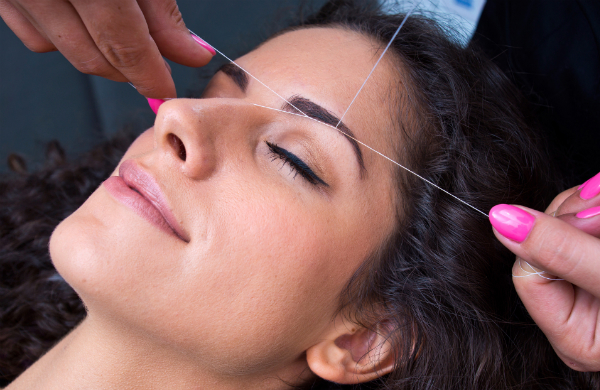 Due to its growing popularity, threading has now become widely available, with prices ranging from around £5-£10. If you’re in need of a quick and cheap fix, head to Lily Brow Bar in the Arndale Market, where you can get your brows threaded for just a fiver or a full face treatment for £17. Still central but a little further out you’ll also find Bella Spa, which offers eyebrow threading from £6, but for first timers they’ll give you a free upper lip treatment as a bonus. Similarly, the Brazilian Waxing Company boasts branches on Cheapside and Oxford Road, and here eyebrow threading will cost you £10 – again with a free upper lip thread thrown in. Their website also benefits from a handy (and rather honest) pain level percentage for each treatment, as indicated by real customers. They also display live data showing how many treatments will be completed by their therapists on the given day. 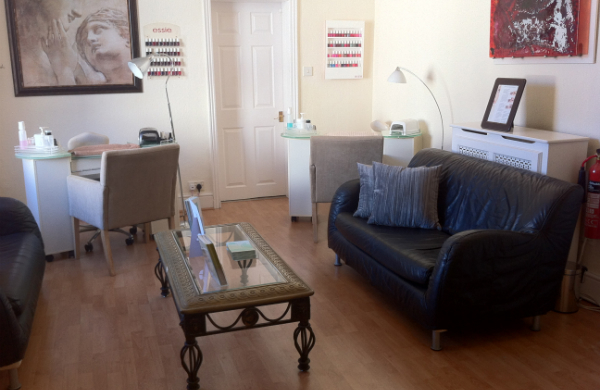 If you’re in the mood for a bit more luxury, out in the suburbs you’ll find the Didsbury Beauty Clinic, with eyebrow threading for £10. A full face package is a little steep at £42, but for this you get a clean, private, clinical environment and a high standard of professionalism, which may be slightly lacking from the cheaper joints. Threading may come with a slight ouch-factor, but with prices starting from just a fiver, beauty doesn’t always have to mean pain when it comes to the price tag. Check out our deals for hair removal in Manchester.